This suite is the perfect blend of comfort and style. In addition to the traditional amenities, relax and enjoy the spa tub and wet bar. Peer out your window and view the beauty of nature in our Mystic Falls Indoor Park. 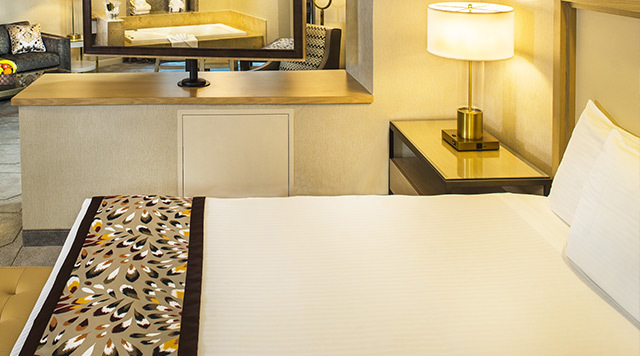 You'll love to call this suite home during your stay. 10% Discount For AAA, Seniors, or Military Receive 10% off room rates if you are a member of AAA, Seniors, or Military.